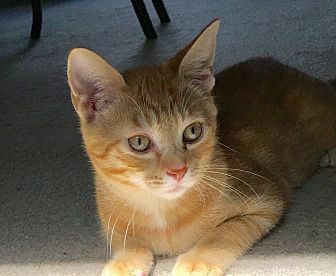 (Adoption Pending) Meet Chip, a mild-mannered male orange tabby who’s ready for his forever family! He always takes time from play to be petted and held, and he has such a polite and gentle personality. He never makes a fuss (or a sound! ); he’s just grateful for what you have to offer. And he loves to hide in plain sight and stare silently while you call for him. Chip's birthday is May 24th, 18. 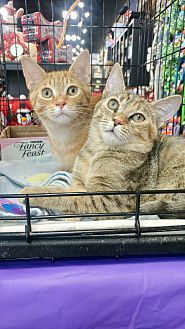 Chip currently “rooms” with his bestie, Olive, a sweet female brown tabby. 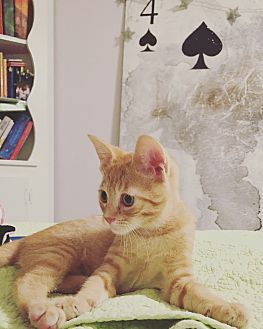 Chip and Olive were rescued together in July from a Henrico Shelter and have been inseparable playmates ever since. Peanut butter & jelly, bacon & eggs, burger & fries, milk & cookies, Chip & dip...make that CHIP & OLIVE! All better together! 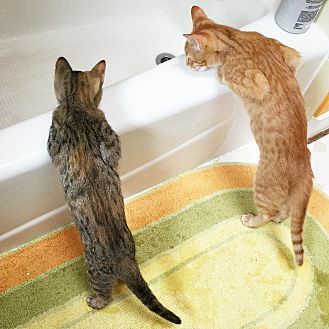 These two tabbies are true to one another and are the PERFECT PAIR.